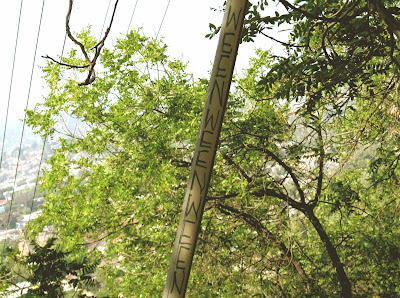 Someone is a Ween fan up in the hills. Ween "Up on the Hill"
Sounds like something my mother would say; Wee-uns are headed to the park. She's from the south. Do come by and visit my current post. I have something up on tagging. The shot before this. Two houses hanging over a hill. Wild!